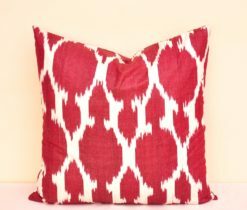 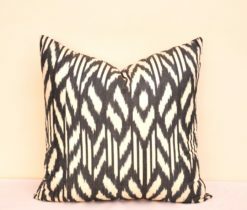 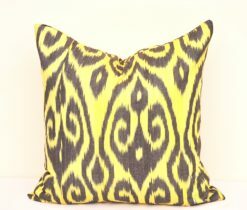 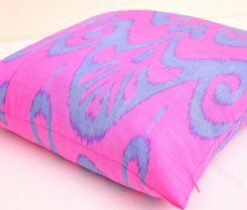 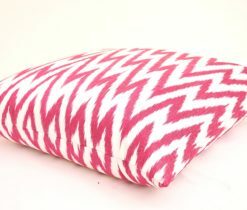 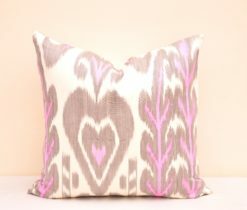 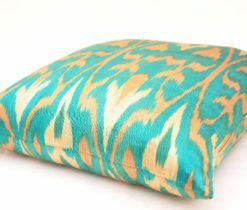 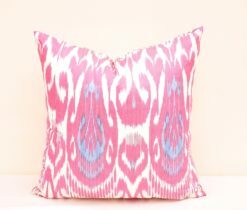 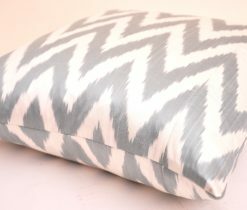 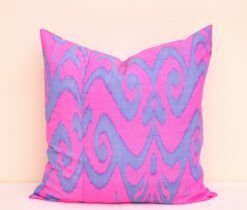 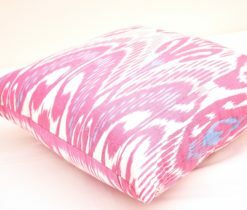 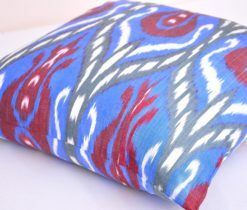 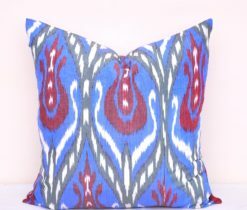 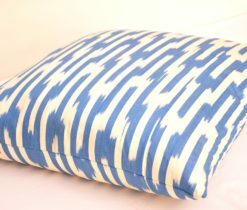 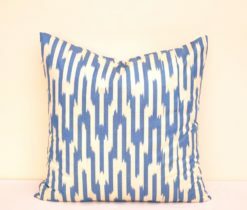 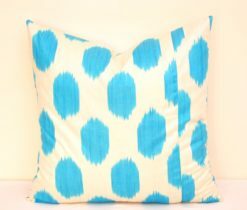 Unique handmade ikat pillow will create a unique and elegant oriental atmosphere in your home, restaurant, office and any other place. 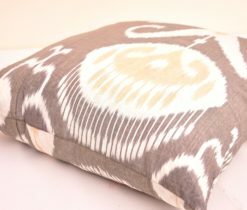 Naturally, the pillow cannot do without a pillow cover, and we offer you throw pillow covers where you will find a lot of original pillow covers of different sizes and types. 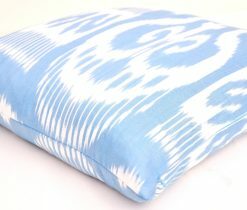 The pillow covers have a two-sided pattern and a secret zipper, it is easy to wash and replace. 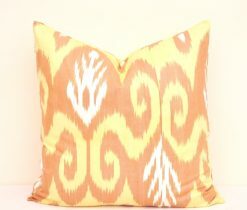 Ikat pillow covers are generally 50x50 cm in size, neatly sewn, have a zipper and they can be replaced with other ikat pillow covers at any time. 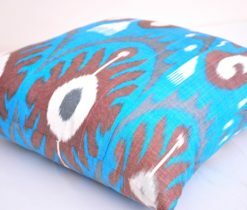 As they are handmade, pillow covers require delicate hand-washing in cool water. 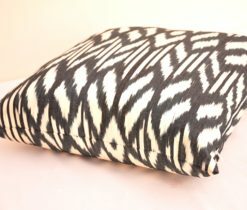 In the rest they are unpretentious, pleasant to the touch and hypoallergenic. 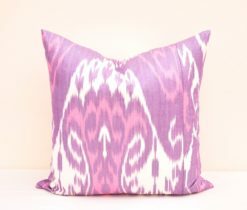 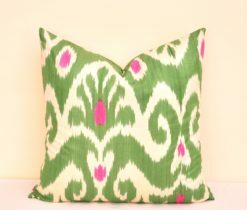 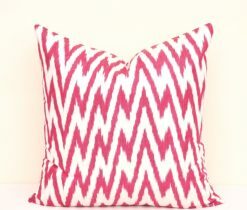 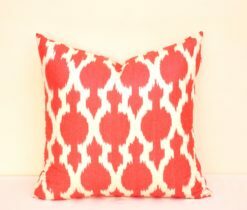 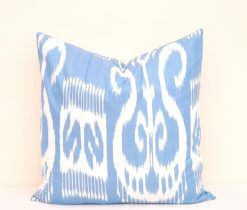 By purchasing Ikat pillows and pillow covers, you can bring a part of the east to your house. 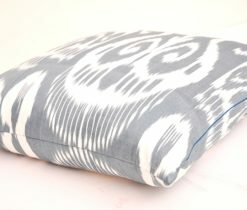 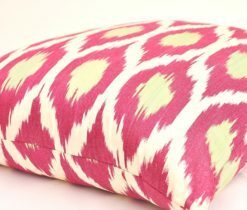 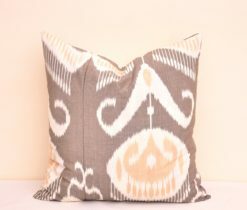 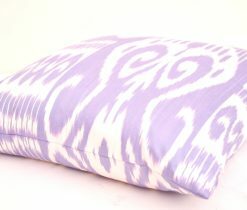 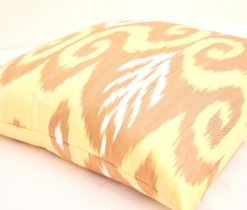 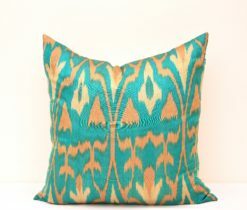 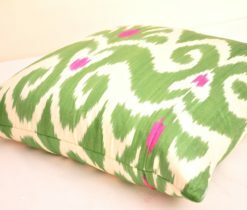 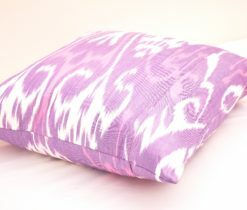 Elegant colors, natural material, handmade - all these are ikat pillows, which an amazing way will complement any interior. 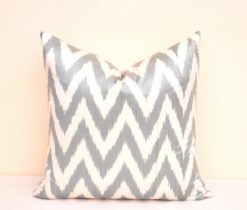 With the help of separate decor elements, you can create an ideal place to relax from the daily hustle and bustle of everyday life, and here decorative pillows can help us. 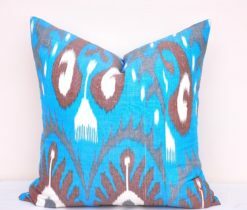 Decorative ikat pillows convey the warmth and art of skillful hands of folk masters. 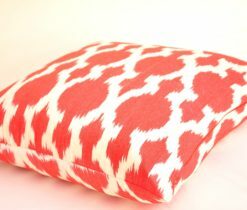 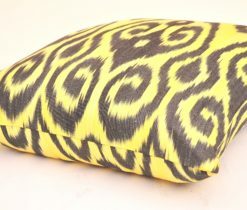 In our online store you can also buy accent pillows for sofa and a few pillow covers for them. 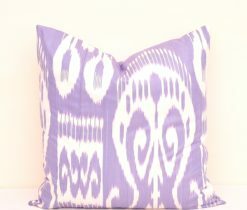 It's easy to give the house a different mood, changing the tone of the pillows. 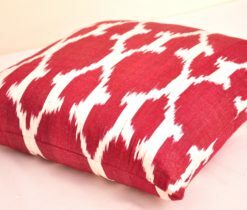 Accent pillows for sofa can be matched to the color of the sofa, and this combination will enhance your home interior. 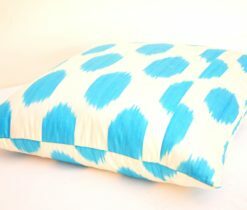 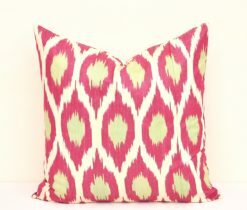 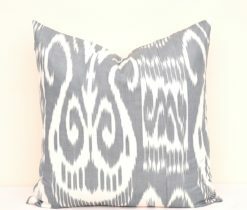 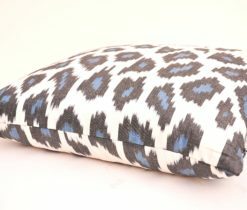 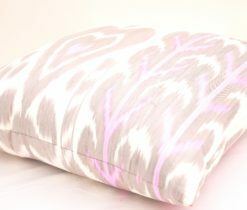 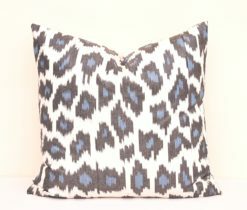 Ikat pillows speaks for itself by adding elegance to every setting. 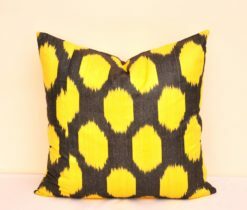 Find the finest Ikat fabric by the yard at Alesouk. 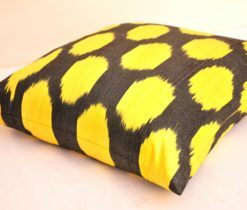 Available for purchase online today.